My kids are both at Junior school now. I have been astounded at the amount of IT related work that they have to do compared to when I was at school…admittedly that was when the Internet was still a twinkle in the eye of Tim Berners-Lee. These days (did I really say that? 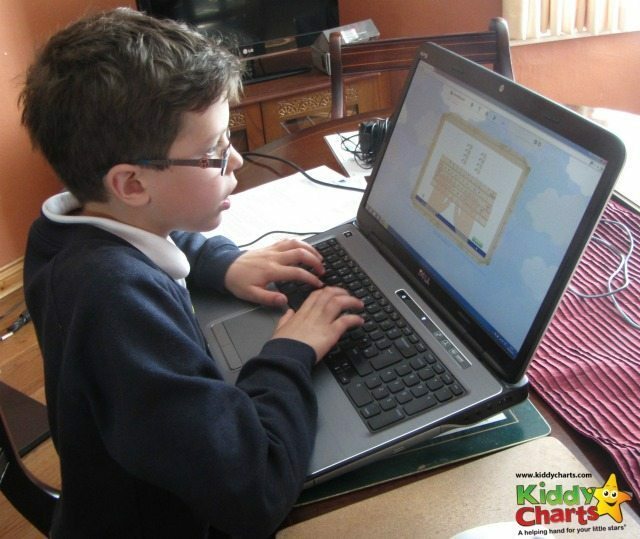 ), kids need to be much more typing proficient than they used to: I was therefore delighted to be asked to review an online touch typing course to help kids develop these skills. 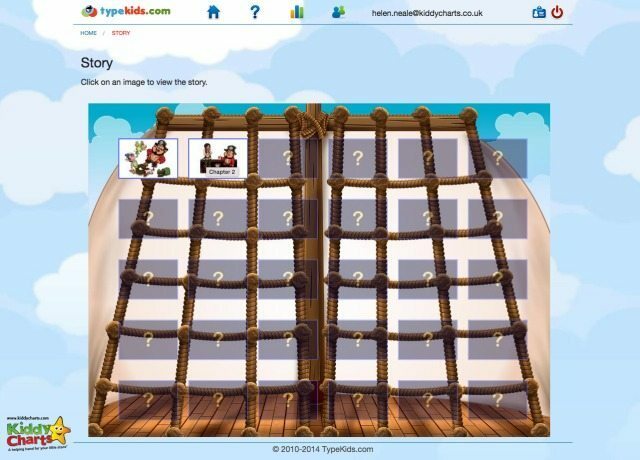 Typekids.com is an online website and course designed to guide children aged 6+ through learning to touch type. 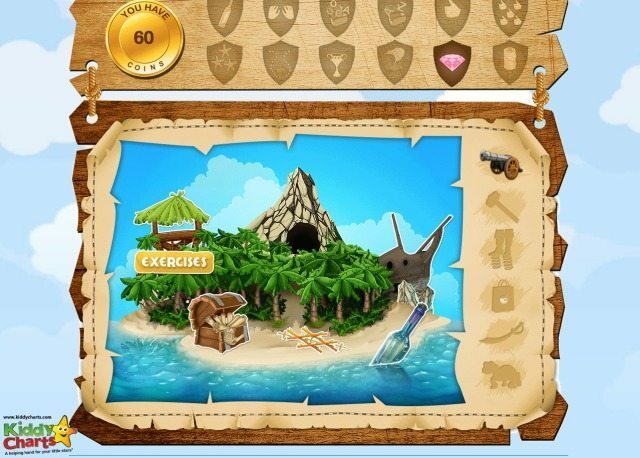 As a student, your child goes on a treasure hunt with Captain Forty to discover hidden treasure. The treasure (coins) you find can then be used to “buy” access to the seven games that the website has. Treasure is accumulated by completing the 30 lessons of the course. These lessons took my kids around 20-25 minutes to finish, as they each have a number of exercises within them. Exercises are based on moving a pirate ship along through the seven seas by typing the correct combinations of letters. Kids are encouraged to place their hands in the correct positions to type these letters, so they get used to the touch typing format. Interspersed with the exercises and lessons is the pirate story that the course revolves around. The more lessons are completed the more information the children get about Pirate Forty and his quest for buried treasure. Review section, so you can give your opinion for others to see. Your kids just need to choose where to go when they enter the site. If you are in the middle of the course, it remembers which lesson you have got to when you come back in after a period away too. What did we think of typekids.com? My son and daughter were both very keen to try this site out. My daughter in particular wants to be able to type much faster in her lessons. She is nine, and the amount of work to do on a PC is more for her than her eight year old brother. The children were very enthusiastic at first and whizzed through the first few lessons. After a few tries, as is inevitable with a skill that requires repetition, this excitement waned a little. The story of Captain Forty did keep their interest, as did the games, but the course is definitely best suited to being done in small, short bursts to maintain impetus. They loved the coin based reward system and this spurred them to compete more lessons so they could unlock the games within the site. My daughter, in particular, was keen to use her new found skills to play the games. It is a great idea to use these to reinforce the exercises too, so that your children are playing and learning at the same time. The children enjoyed the game play, but needed a little more variety to keep attention for a long period of time. However, at $89.95 for thirty lessons, this does provide a great way for kids to learn an extremely important skill. My daughter, as an older child, definitely got on better with the course. She understand the importance of patience to develop a skill, whereas my younger child is less able to grasp this concept. A really great option within the site is the reporting. 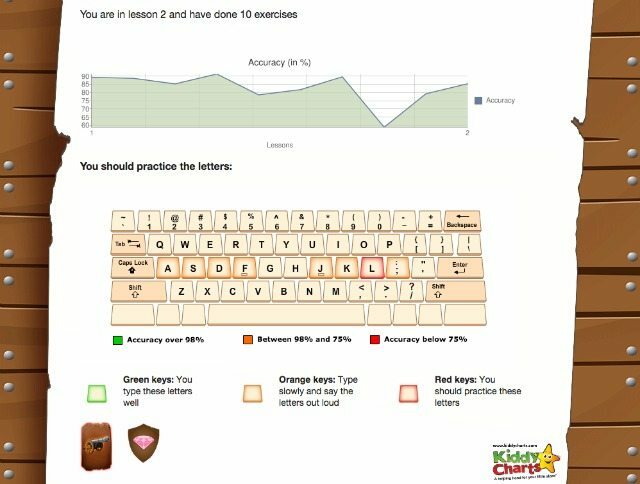 Report are emailed to parents as your child’s progresses, There is also an online reporting function, which enables parents to see which keys your children need to practise with the most. The best thing about this touch typing course is that you can try it for free to see whether your child is going to really “get it”. Something that is definitely worth exploring as touch typing rally is a wonderful skill for your children to learn as soon as they can. 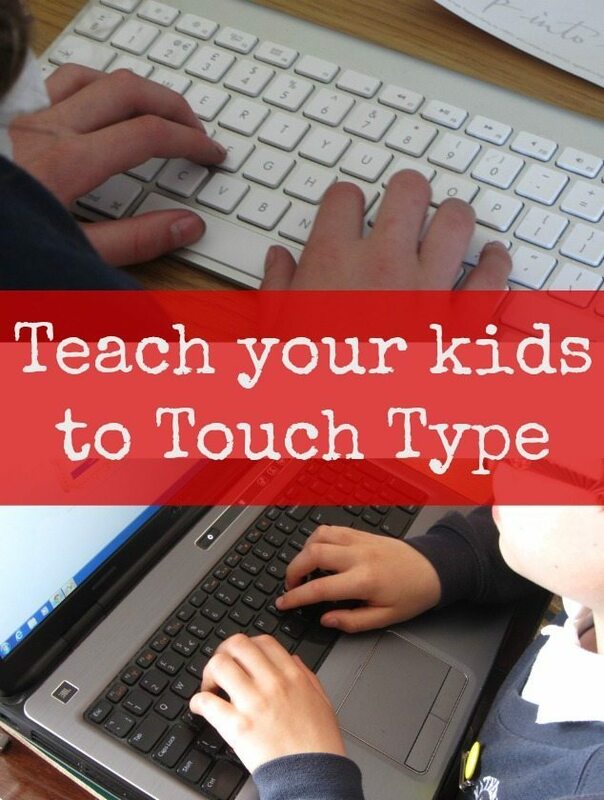 Do your kids touch type? Have you used the typekids.com course? What did you think? Disclosure: We were provided with two free courses for my children to try out this site; all opinions are our own. I completed a typing course at school and therefore autocorrect always is an amusing concept to me! Touch typing is important but not essential. The more children type the more they will find the correct letters on the keyboard.